Medical Grade waterproof optical mouse, dishwasher Safe. Constructed with SEAL SHIELD Waterproof Technology and features SEAL SKIN Comfort Grip silicone coating to provide a natural look and feel. 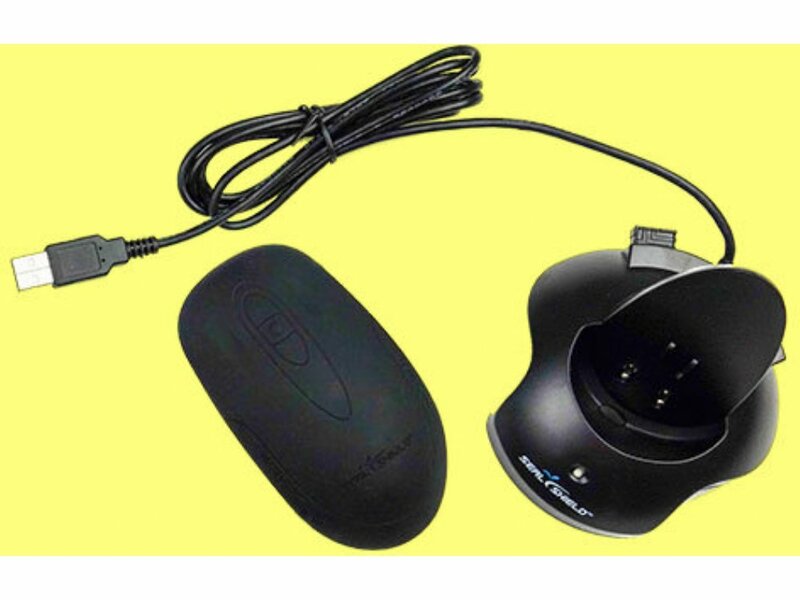 A two button, Optical Scroll mouse that utilizes a three button scroll system with Page Grabber technology, fully submersible, DISHWASHER SAFE and manufactured to IP-68 standards. Includes: Wireless Medical Grade Optical Mouse - Dishwasher Safe & Antimicrobial, 2.4GHz nano USB RF receiver, USB Charging base with integrated 3 port USB hub.